Details are slowly staring to emerge from NRK surrounding some of the artists taking part in next year’s Melodi Grand Prix. So far, there are some familiar faces and some not so known names in the running. One of the very first contestants to be confirmed by the broadcaster will no doubt be known to some Eurovision fans, especially those who have followed the Norwegian Melodi Grand Prix Jr. Little Malin Reitan won the contest in 2005 aged 9 with Sommer & Skolefri (Summer and School Holidays), and has matured markedly since then. The youngster, now 16 has won a prestigious Spellemann prize (Norwegian grammy) and she has no fewer than six gold albums and one platinum album under belt. Pretty impressive for such a young age. 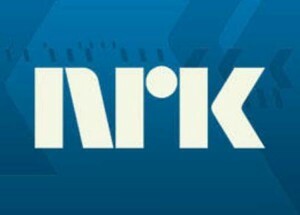 The decision by NRK to offer Malin a place in next year’s selection came as a huge surprise for the young lady, as she was hoodwinked completely by programme host Per Sundnes – she thought she was off out for a spot of horseriding! Another artist confirmed for participation next year is the young girl group Irresistible – who were also set up by MGP supremo Sundnes. They thought they were due to give a radio interview before he appeared at the NRK studios in Trondheim to give them the news and congratulate them with cake and confetti! The band’s manager Robin Jenssen has apparently been in on the act for the past two months but managed to keep it under wraps. The four young girls Saima Irén Mian, Lise Viktoria Hagen, Ingri Rønning and Hanne Rindal Ree were clearly delighted with the news as they are all avid viewers of Melodi Grand Prix. Having previously taken part in the Norwegian version of X Factor, the girls were unaware that they had been registered as an act for Melodi Grand Prix 2012. They are currently in the studio recording their debut album with a single scheduled for release in January. The third name to be made public is 15 year old Nora Foss Al-Jabri. She first came to the attention of the public in came third on Norway’s Got Talent in 2008. She then went on to perform on the Oprah Winfrey Show. One of the men behind her song, Something Beautiful, is none other than Christian Ingebrigtsen, who himself took part in 2010 with his band A1, coming second with Don’t Wanna Lose You Again. The song is described as something of a mixture between Johnny Logan and Secret Garden, with a hint of The Wizard of Oz. Nora is being hyped as having a big voice, which we’ll hopefully get to hear pretty soon. The last act to be made known for the time being is an unknown to most of us, Isabel Ødegård who originally hails from the north of Norway. She is neighbours with and a good friend of Thom Hell, who is one of Norway’s most acclaimed male singers and musicians, who is also a winner of the Spellemann prize. He is the man behind her entry, of which little yet is known apart from the fact that it’s supposedly quite a slow song, which Hell claims is due to Ødegårds apparent lack of dance skills! Isabel had been nagging at Hell for some time to compose a song for her, not neccesarily with Melodi Grand Prix in mind. The bubbly blonde reveals however that she doesn’t want to have too much going on stage during her number, citing Dima Bilan’s Believe as an example of how not to do things. Rest assured, Eurovisionary will bring you updates and information surrounding the other artists as soon as this becomes available. Keep watching here for updates!